2027. America has fallen to a savage military occupation. Join the Resistance and fight for freedom in this gripping, cinematic first-person shooter for Xbox 360, PlayStation 3 & PC in stores early 2011. Homefront: The Revolution – Gameplay sneak peek ! 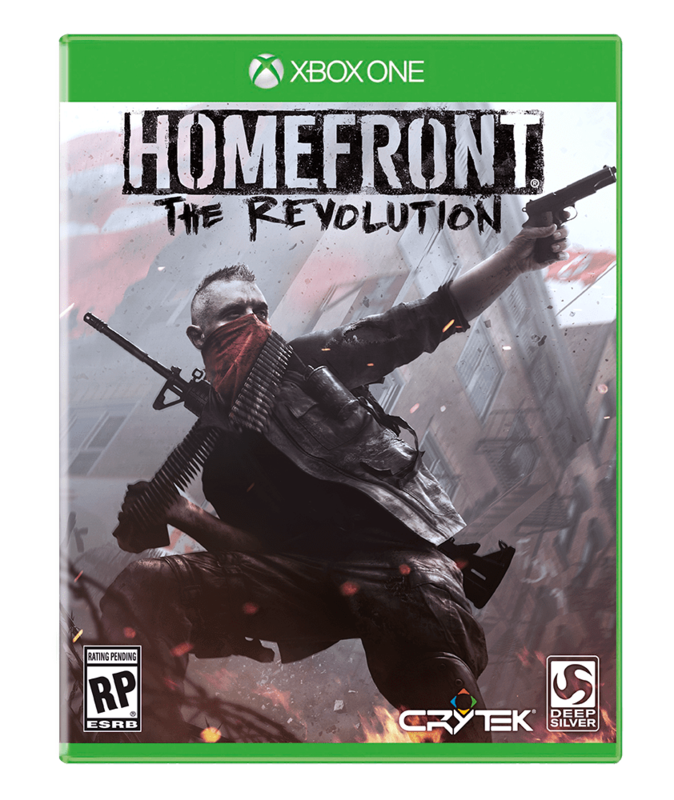 Larkspur, Calif., June 2, 2014 – Wage guerrilla warfare and reclaim the streets of Philadelphia in Homefront: The Revolution, a captivating new free-roaming FPS to be co-published in 2015 by Crytek and Deep Silver. 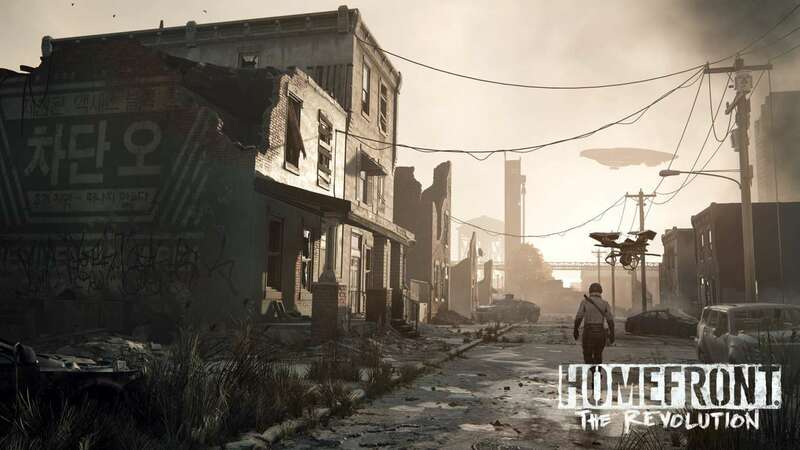 Coming to Xbox One, the all-in-one games and entertainment system from Microsoft, PlayStation®4, PC, Mac and Linux in 2015, Homefront: The Revolution throws players into a near future dystopia. Catastrophic events have brought the United States to its knees and enabled the Korean People’s Army forces to impose a brutal military occupation. Trapped in this American nightmare, Philadelphia has become a police state, where surveillance drones and armored patrols keep her once-proud citizens at heel, crushing any dissent with totalitarian force. To overcome their oppressors, players will have to engage in guerrilla warfare and use ambush, infiltration and hit and run tactics in thrilling un-scripted firefights. 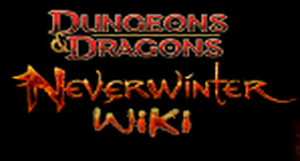 At every turn they’ll find a sprawling open-world city, in which recruiting fellow revolutionaries and building improvised homebrew weapons are just two of the keys to creating a powerful resistance force. 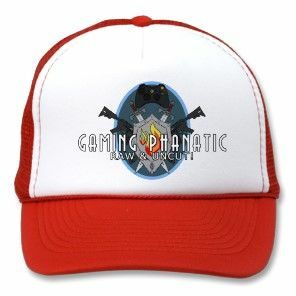 The Resistance flourishes far beyond the single player. Homefront: The Revolution supports up to four players in online Co-Op gameplay where you form your own resistance cell and become renowned as Heroes of the Revolution. 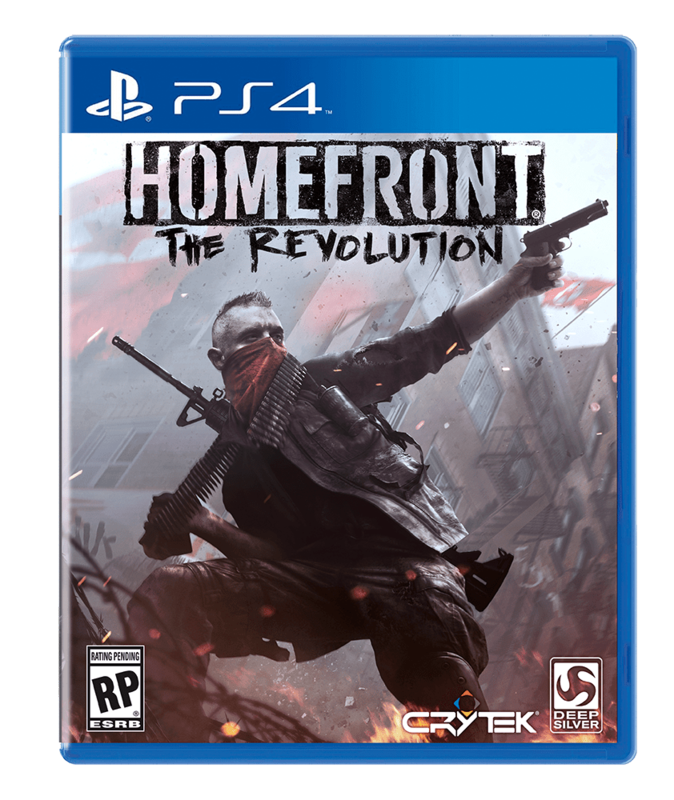 Homefront: The Revolution represents the first time Crytek and Deep Silver have worked together, with the two partners collaborating to release the game as part of a co-publishing agreement. “Crytek has an outstanding track record of creating AAA action games. Homefront is a fascinating IP with huge global potential. 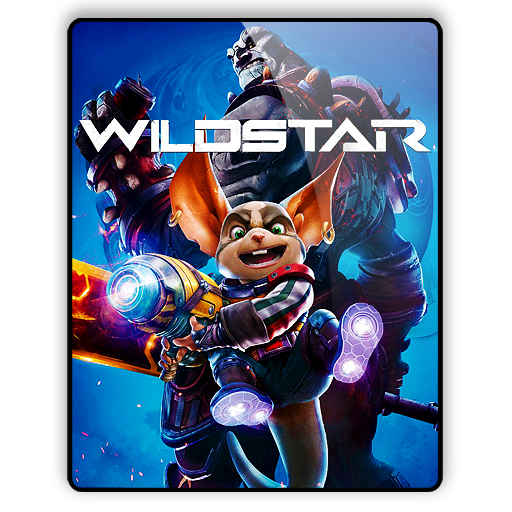 With Crytek’s technical pedigree and Deep Silver´s publishing expertise, we will take the IP to new heights,” said Dr. Klemens Kundratitz, CEO of Deep Silver / Koch Media. 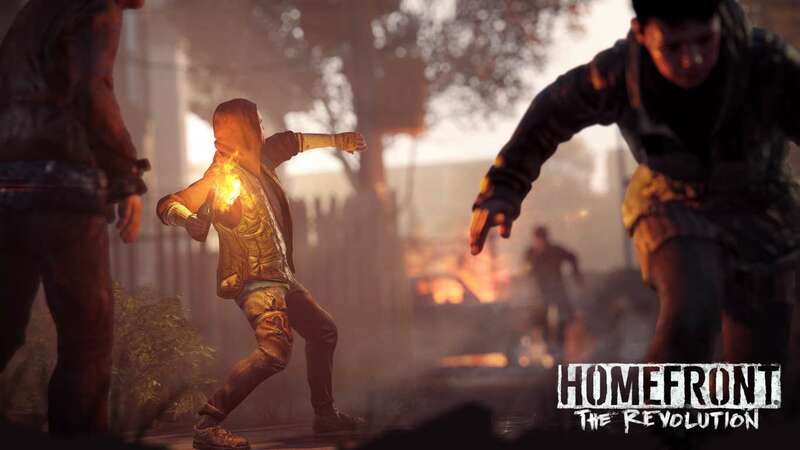 Developed by Crytek’s Nottingham studio, Homefront: The Revolution harnesses the latest features of Crytek’s CRYENGINE technology. On the ground, players will encounter a dynamic environment that looks and feels truly alive as day turns to night and storm clouds come and go – an authenticity that extends to the strikingly lifelike expressions, skin and clothing of everyone they encounter. 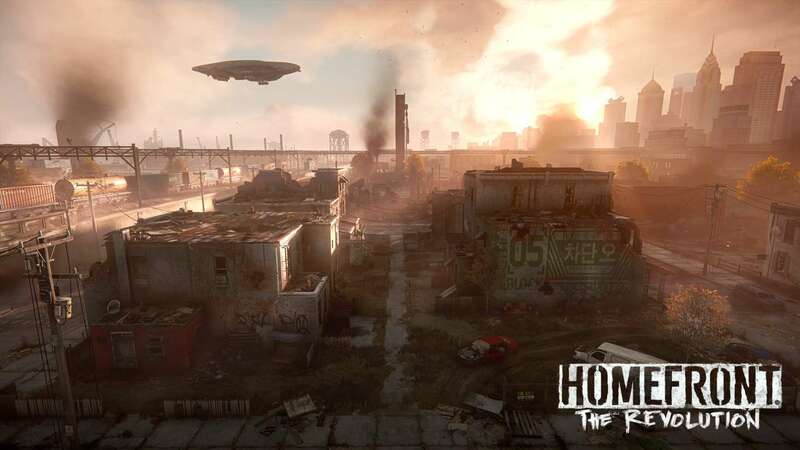 To find out more about the Homefront: The Revolution, and to watch an all-new trailer showing the game in action, visit <gp_link type=”http” loc=”//www.homefront-game.com”>www.homefront-game.com. 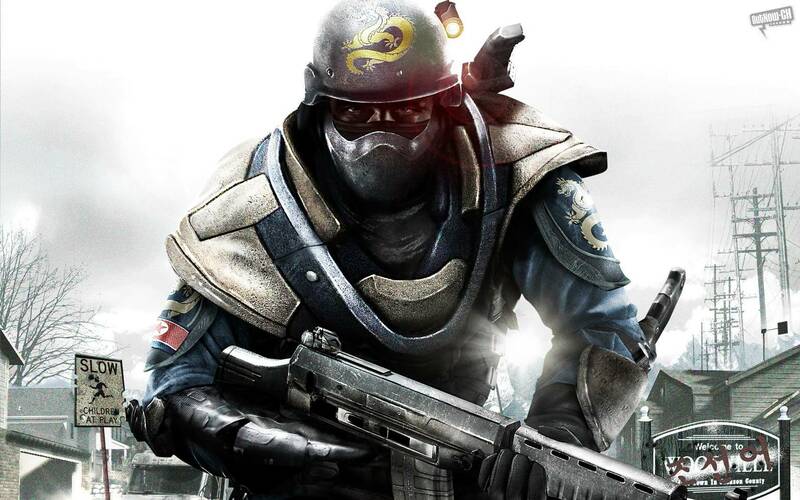 Crytek Acquires Rights to Homefront IP ! This is great news to hear ! Frankfurt (Germany) January 24, 2013 – Crytek GmbH today announced the acquisition of the intellectual property rights for the Homefront franchise following an auction of assets by THQ Inc. Crytek’s association with the Homefront IP began in autumn 2011, when the developer announced it would be creating the second game in the series in partnership with THQ Inc. 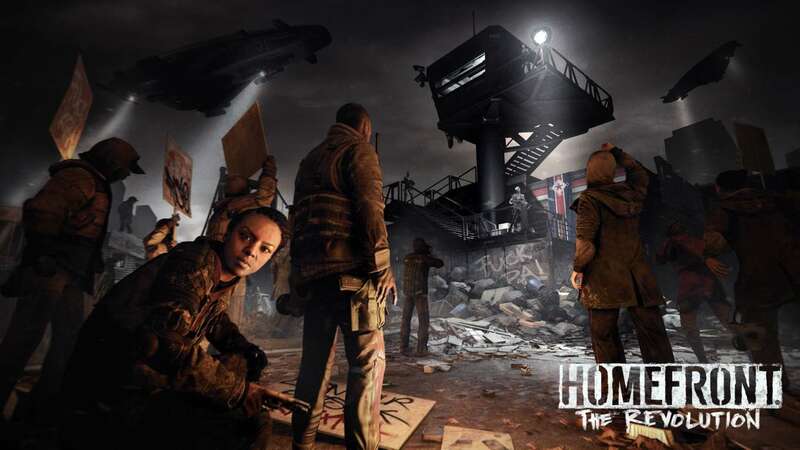 Following THQ’s recent decision to file for chapter 11 bankruptcy and the subsequent sale of the publisher’s assets, Crytek submitted the high bid at auction to secure the rights to the Homefront franchise. 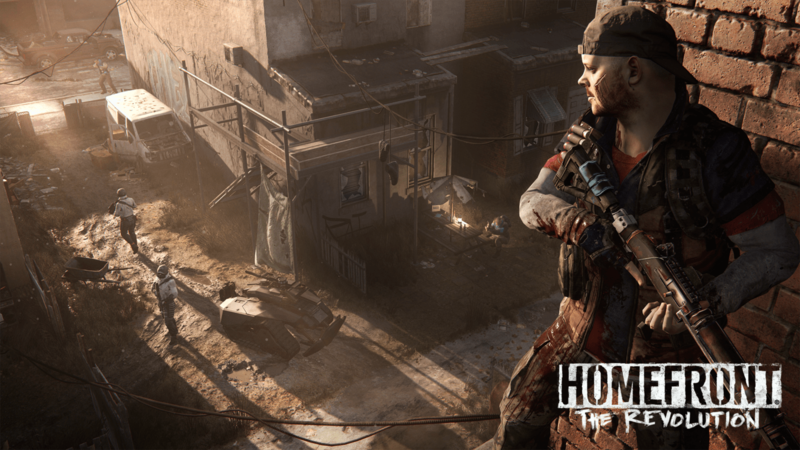 THQ AND CRYTEK COLLABORATE TO DEVELOP NEXT HOMEFRONT TITLE ! AGOURA HILLS, Calif., September 20, 2011 – THQ Inc., (NASDAQ: THQI) today announced that the next title in its Homefront® franchise will be developed by multi-award winning FPS veterans Crytek. The first Homefront title was released in March 2011, and proved to be a commercial success for THQ. The yet-to-be-named sequel is scheduled for release in THQ’s fiscal year 2014 on console and PC platforms. A once proud America has fallen, her infrastructure shattered and military in disarray. Crippled by a devastating EMP strike the USA is powerless to resist the ever expanding occupation of a savage, nuclear armed Greater Korean Republic. Abandoned by her former allies, the United States is a bleak landscape of walled towns and abandoned suburbs. This is a police state where high school stadiums have become detention centers, and shopping malls shelter armored attack vehicles. A once-free people are now prisoners … or collaborators … or revolutionaries. Crytek GmbH (“Crytek”) is one of the world’s leading independent development studios for interactive entertainment. It is based in Frankfurt am Main (Germany) and has additional studios in Kiev (Ukraine), Budapest (Hungary), Sofia (Bulgaria), Seoul (South Korea) and Nottingham (UK). Crytek is dedicated to creating exceptionally high-quality video games for next-generation consoles and PC, powered by their proprietary cutting-edge 3D-Game-Technology, CryENGINE®. Since its foundation in 1999, Crytek has created the multi-award winning PC titles Far Cry®, Crysis® (awarded best PC Game of E3 2007 and Best Technology at the 2008 Game Developers Choice Awards), Crysis Warhead® (awarded Best Graphics Technology at IGN Best of 2008 Awards) and Crysis® 2 (awarded Best Shooter of E3 2010 and Gamescom 2010). Crytek, Crysis and CryENGINE are registered trademarks or trademarks of Crytek GmbH in the USA, Germany and/or other countries. 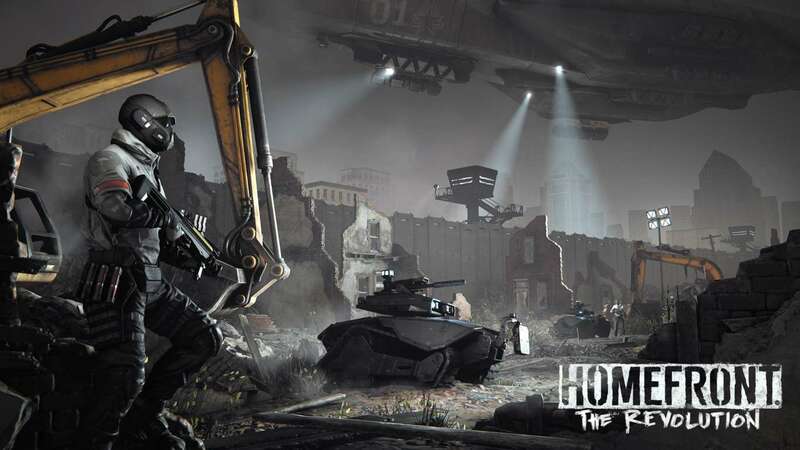 Homefront “THE ROCK” Map Pack – Now Available on Xbox 360! THQ is pleased to announce that “THE ROCK” Map Pack is now available for Homefront® Multiplayer, first on the Microsoft® Xbox 360! o Alcatraz – America’s most infamous prison becomes the site of fierce close-quarters fighting. o Bridge – A combined arms effort to secure the North Tower of the Golden Gate Bridge and surrounding area, large-scale warfare at its best! o Waterway – Wage war atop storefronts and in the streets of the Spillway, where every inch feels like a mile. o Overpass – Battle in a fan-favorite Ground Control space for the first time in Team Deathmatch! This Homefront DLC offering is now available for download on Xbox Live for the suggested price of 400 Microsoft Points, carrying you further into a war-torn occupied America. Ready the troops, “THE ROCK” is here! THQ’s Kaos Studios, creators of Homefront and Frontlines: Fuel of War is closing down. 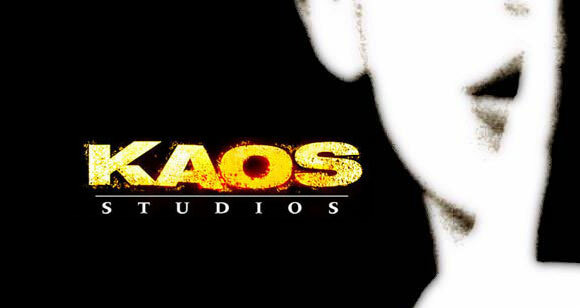 The company confirmed that it has made a “strategic realignment within its internal studio structure” and will be closing their UK studio and Kaos Studios in New York. THQ Montreal will be taking over the Homefront franchise and will continue to develop for the current game and work on any future titles in the series. 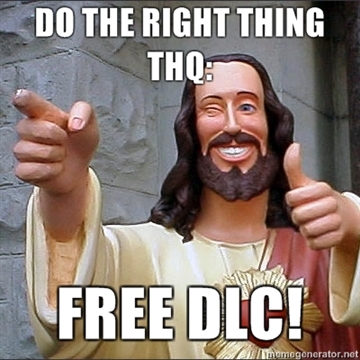 Most employees from both studios have already been reassigned to other studios in THQ. Homefront Demo & DLC Available… & more! THQ is proud to announce the Xbox 360 Homefront® Multiplayer Demo is now open for download on the Xbox 360 Marketplace to all Gold Members! Fly helicopters, drive tanks and call in airstrikes as you experience large scale warfare, intense infantry and epic multi-vehicular combat in the Homefront® Multiplayer Demo for a limited time. Battle with up to 32-players in Occupied USA on dedicated servers and get a taste of large-scale warfare in a brand new way. Home is where the war is, download it today! But wait, that’s not all… Homefront DLC has arrived! The “Fire Sale” Map Pack is available on the Xbox 360 Marketplace; featuring two all-new multiplayer maps for a suggested price of 240 Microsoft Points (MSP). “Spillway” and “Big Box” will carry you deeper into a twisted and war torn America, download and enjoy them today. Also, now available from the Xbox 360 Marketplace are the 870 Express Shotgun (80 MSP) and a free Homefront Premium Theme! The entire team at THQ would like to thank you for playing Homefront and being a member of our community. An Xbox 360 update is now available which should improve Homefront®’s overall game stability and network connectivity, a summary of a number of the changes can be found below. In addition, we are pleased to provide the “Ability Pack” with this update which will be immediately available after download! We are happy to announce the first Homefront DLC offering will be available on June 7th – the “Fire Sale” Map Pack will carry you further into the heart of a war torn and twisted America. “Fire Sale” will launch first on Xbox LIVE and features two all-new multiplayer maps. This is just the first small taste of anticipated robust updates that will be coming to Homefront. Also on that same day, the 870 Express Shotgun will be available for download and as a way of saying thank you for your continued support, we are offering a free Premium Homefront Theme that will be provided on the Xbox 360 Marketplace. Mark the day on your calendar and keep your eyes peeled for further Homefront news and announcements. The entire team at both KAOS Studios® and THQ would like to thank you for playing Homefront and being a member of our community. We appreciate your dedication and patience as we continue to improve and enhance the game with each update. The DLC should have been for free took way to long to patch and fix it!Brink had problems and they patch it asap and are giving the first DLC for free!! KAOS FAILED US ALL!!! Server administrators will also have the option to kick players, enforce spectating, or swap teams. As you’ve probably heard, the Xbox 360 Title Update just went live this morning which we expect to address all ‘Profile Freeze’ issues. In the background, we’ve been hard at work on further improvements which should be following hot on the heels of this update. 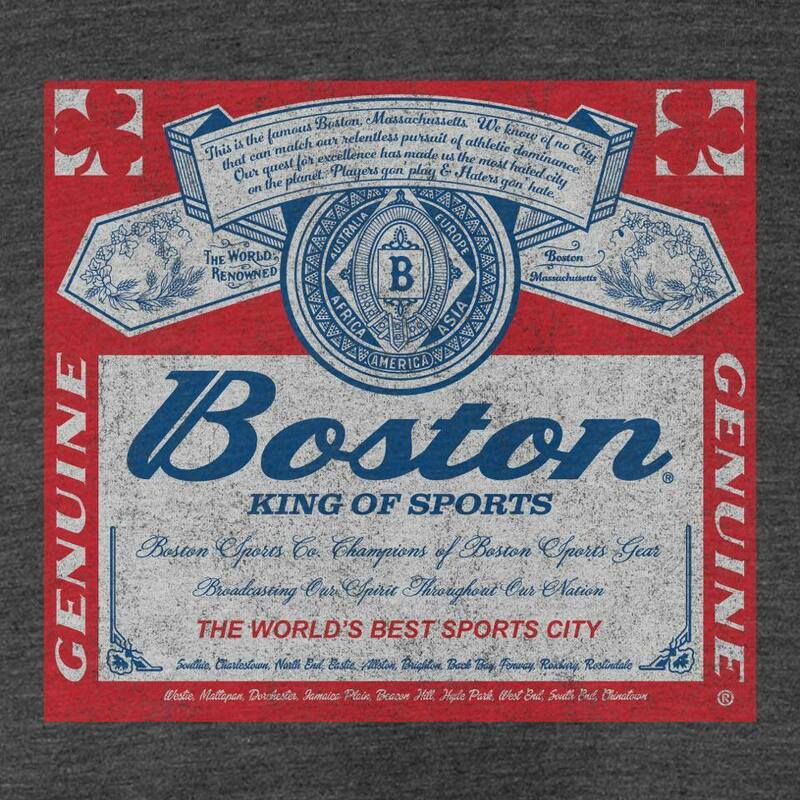 Details to follow tomorrow. We have a full-time team here at Kaos Studios dedicated to ongoing support on the technical side, as well as development of a wide range of exciting DLC that we’re not quite ready to talk about just yet, but hope to unveil to you in the very near future. We’d like to thank you for your continued patience, and assure you that we will continue to support our multiplayer community for many months to come. 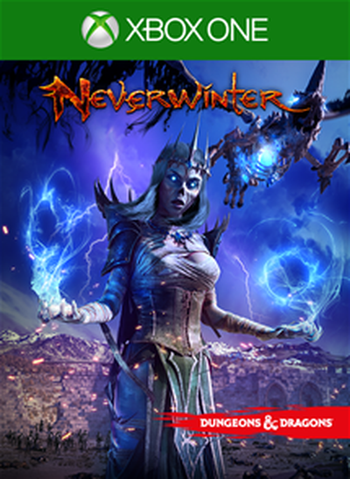 Digital Extremes and KAOS are happy to announce our first major update for the PC version of the game. 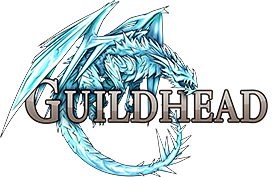 This patch will update the client to version 1.0.3 and is currently undergoing internal testing and is scheduled for release early next week! The complete list of changes can be found below in the story. – A DemoURL can now be specified in the server playlist, this is used to indicate the location of stored demo files to user’s in-game (see the multiplayer options screen). A good practice for server admins would be to share the demo folder via FTP, this would allow users to grab demos of games they starred in, and also (very importantly!) 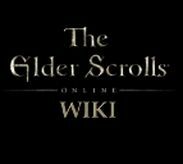 allow users and anti-cheat authorities to download evidence for cheat reporting. Incidentally, it is now possible to dump all users unique steamID’s from both in-game, and in-demos to the console or text file (this will make reporting abusive players and enforcing bans incredibly easy). – Players will now re-spawn at a point nearest to the closest member of their squad. – Squad mates will now be colored blue on the mini-map and full-screen maps. – Lowered m200 and m110 sniper rifle damages. The only 1 shot possible is now headshots. – Flak jacket now has a lower BP cost, and a slight effectiveness buff. – Weapon is taken out of ADS and accuracy decreases when jumping. – The Rhino drones weapon attachment was not being properly moved with the Rhino drone on dedicated servers, causing the rockets to fire incorrectly. This is now fixed. 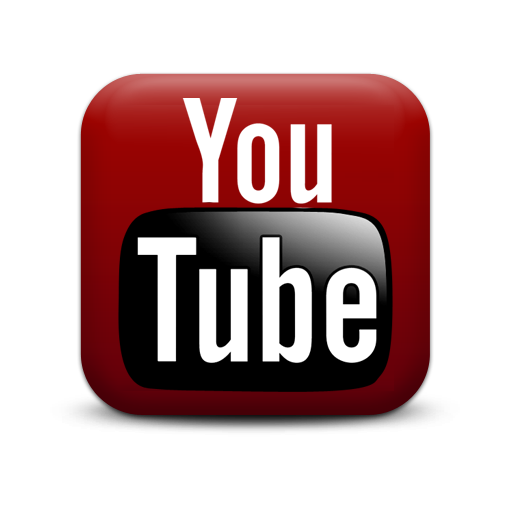 – We have added some animation optimizations for large player games. 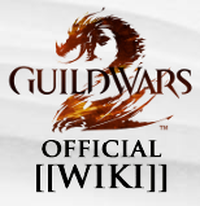 – Several UI related improvements were added for large player games . – Fixed scaling text zooming on Battle Commander when opening up the battle chat or squad UI. – Switched the buttons around on the load out rename confirmation dialog to better abide by conventions. – A few reported issues with WinXP 64 bit edition have been addressed. – Improved menu navigation with analogue controls. 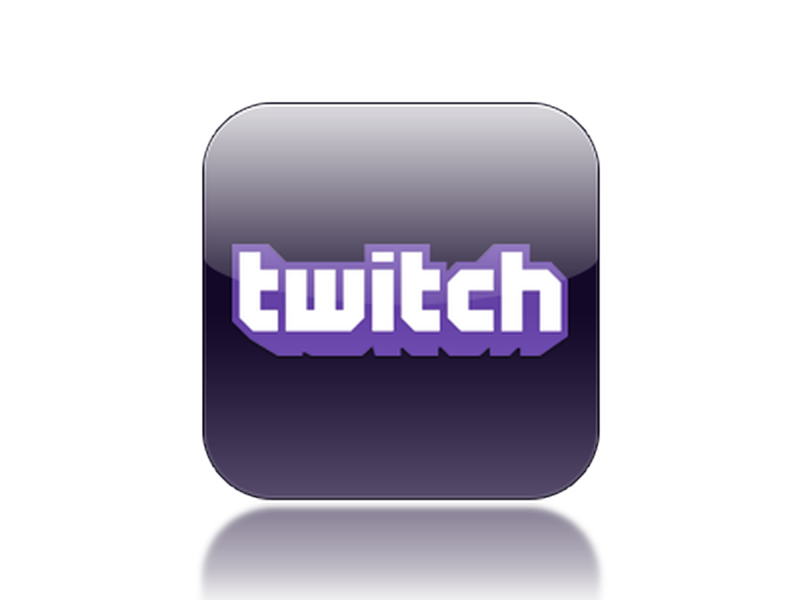 – User feedback for kicks and bans has been improved. – The intermission lobby now displays clan tags. – Text chat is now possible in the kill cam, spawn selection, and intermission lobby screens. – EnableD3D10/11 is now accessible via the system settings menu. – Mouse acceleration is now accessible via the controls menu. – Mouse smoothing is now accessible via the controls menu. AGOURA HILLS, Calif., Mar 24, 2011 – THQ (NASDAQ: THQI) today announced that HomefrontTM has already sold-through an estimated more than one million units across North America, Europe and Asia Pacific markets, on shipments of 2.4 million units to date. In addition, according to UK Chart Track’s March 21st weekly report, Homefront’s reported first weekend sell-through ranked the game as #1 for the week, as well as the best-selling week-one new console release in 2011 in the UK. NOW PATCH YOUR GAME WITH FIXES!!!!PLEASE!!! The Homefront Team has been working around the clock identifying and fixing issues surrounding Multiplayer functionality. We want to give everyone an update on what issues are known, how we are working on them, and when you can expect to see fixes available for download. 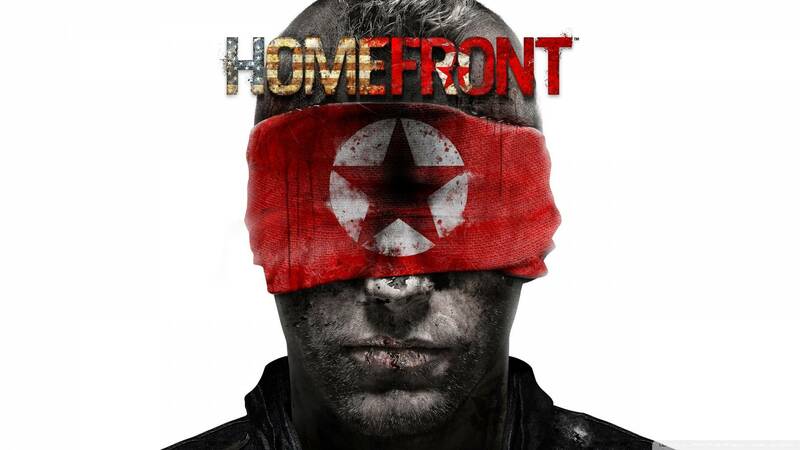 – Xbox 360: The Homefront team is finishing up our first Critical Title Update that will address the Profile Corruption issue (also known as the ‘Freeze’ bug), as this is our highest priority. We are also including a fix for multiplayer connectivity and ping time issues, where players are being sent to distant server locations at the expense of performance. We expect this update to be submitted to Microsoft really soon and we will be working with them very closely to get this approved and deployed as quickly as possible. 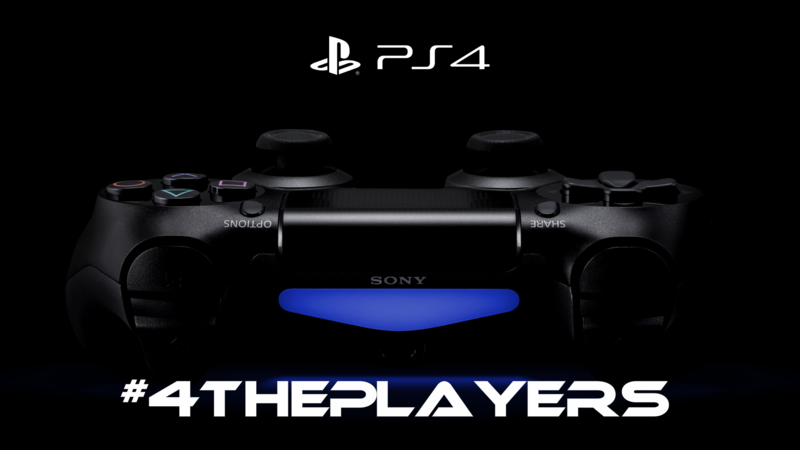 – PlayStation 3: We are also working on several multiplayer connectivity and freeze issues on this platform as well. Many Homefront issues occur equally across all consoles but the PlayStation 3 Comprehensive Patch will be sent to SONY as soon as the issues are resolved. – PC: The PC patching process is a much more “real-time” situation, given they do not need to go through any kind of certification process and fixes are being made and delivered as soon as they are resolved. – Playstation 3 Update will release as soon as fixes are ready. – Xbox 360 will submit as soon as Update 1 is released live. Thank you for your patience and understanding as we work through this process. Our Community Management and Customer Service teams will do their absolute best to keep you up to speed and aware of developments. We apologize for the inconvenience to your Homefront Multiplayer experience and are working 24/7 to make it as enjoyable as possible! Homefront Issues Tracker (Master)update tomorrow! If our servers are mostly full it could be difficult to get into a multiplayer match, especially with a large party. If you are having lots of trouble getting into MP during peak hours, you can try a Skirmish match! When you are joining a match it says looking for optimal match and then ‘reserving slots’. This process could actually take several minutes, so we recommend that you simply wait instead of backing out after 5-10 seconds as the process could take considerably longer. From what we are seeing right now, if you leave it at ‘reserving slots’ you will eventually get in. 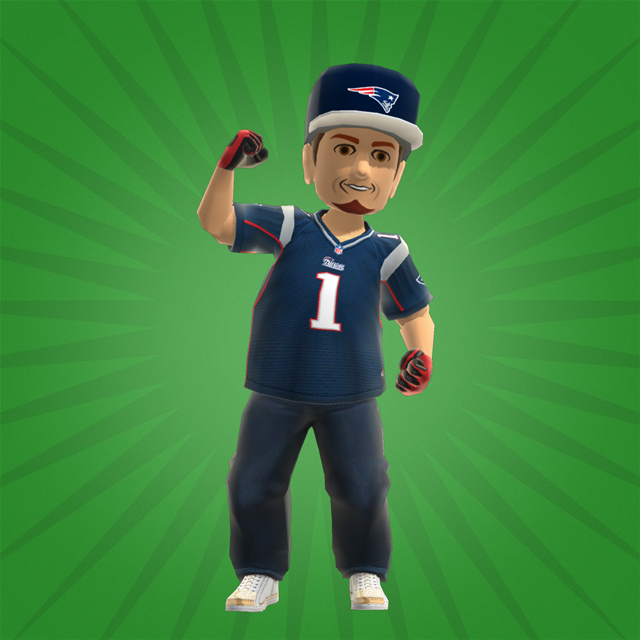 We are aware of a few issues that are affecting players on Xbox 360 and Playstation 3. This is a high priority fix for us at the moment. We are aware of this issue and is currently a very high priority bug for the team at this moment. We are currently working on a permanent fix for this problem. If you have this issue, please contact THQ Customer Support at www.support.thq.com so we can record and track your information. We are aware of this issue and currently preparing a fix for a title update with Microsoft. We are working extremely hard on this issue! We think this is a problem largely caused by overcrowded servers and lack of capacity. A quick fix for the Beacon Error is to jump back to the Microsoft Live Dashboard and reboot the game. 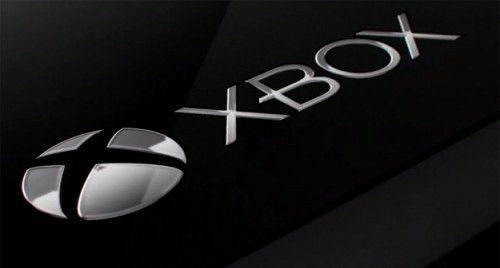 Another option is simply to restart your Xbox 360 Console and relaunch the game. We are currently working on a fix. THQ claim No1 on the All Formats chart for the first time since week 22, 2009 (UFC 2009: Undisputed) with a shiny new FPS called ‘HomeFront’ from Kaos Studios (360/PS3/PC). Those with long memories might remember Kaos’ first boxed release ‘Frontlines: Fuel of War’ on 360/PC which debuted at No4 in week 9, 2008. On Xbox 360 ‘HomeFront’ is certainly performing well considering that in week 1 in the UK it manages to sell around 82% of what Frontlines on 360 achieved over 3 years. EA’s ‘Dragon Age II’ drops to No2 (-68%) and Nintendo’s ‘Pokemon White’ also drops one place to No3 (-47%). Sega’s PC ‘Shogun 2: Total War’ by Creative Assembly debuts strongly at No4 and was in fact a Tuesday release in week 11. Such was the demand for this title (if you were a fan of ‘Shogun: Total War’ you have only had to wait 11 years for this sequel) that almost 80% of retail boxed sales were made in the first 24 hours. Also new this week is 2K Sports/Take 2’s ‘Top Spin 4’ on 360/PS3/Wii which debuts at No13, the previous iteration debuted one place higher at No12 back in week 25, 2008. The final new entry this week is Sega’s ‘Yakuza 4’ on PS3, debuting at No25, with previous iteration also debuting one place higher at No24 back in week 10, 2010. KILLZONE 3 – SONY COMPUTER ENT. LITTLEBIGPLANET 2 – SONY COMPUTER ENT. Homefront Server Capacity Growing Again! THQ and KAOS Studios are continuing to dramatically expand our dedicated server capacity due to the welcome player demand across the globe. We are continually working around the clock to expand the global infrastructure & improve the overall experience. Below, you will find the efforts that we are making today and through the evening, having chosen the lowest impact times to ensure disruption of your online experience is kept at an absolute minimum. We are pleased to say we will be more than doubling our existing server capacity on the continent. This maintenance period should last about 30 minutes. Players should expect to experience brief outages of multiplayer during this window. European servers will undergo scheduled maintenance to increase our capacity for server monitoring and updates, in an effort to ensure the most stable environment for our users. In addition, even more servers will be brought online to assist in this welcome, yet unprecedented demand for online Multiplayer! 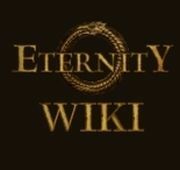 Players should expect to experience a short period of disconnections during this timeframe. North American Servers will undergo similarly scheduled maintenance to what is being performed in Europe. We are happy to announce that even more servers will find their way online during this window as well – hopefully making for an even more enjoyable Sunday morning! Players should expect to experience a short period of disconnections during this timeframe. We want to stress that Homefront is one of very few FPS games providing dedicated server support on consoles. The infrastructure and networking code required to support this is much more complex and demanding than you see in most titles. The return is epic large-scale warfare on huge maps, with more players & a level pitch for all – something we believe is critical for fair, balanced online FPS gameplay. Every game that goes the extra mile to provide dedicated servers faces additional growing pains in the early going as the kinks are ironed out, but please bear with us as we address these – the results will be worth it! Once again, we apologise for any disruption to your gaming, and thank you for your patience and support. THQ Inc. (NASDAQ:THQI) today announced that first day sales of HomefrontTM, its thrilling first person shooter with outstanding multiplayer, approximated 375,000 units in North America. The game is scheduled to ship in Europe and Asia Pacific throughout this week. 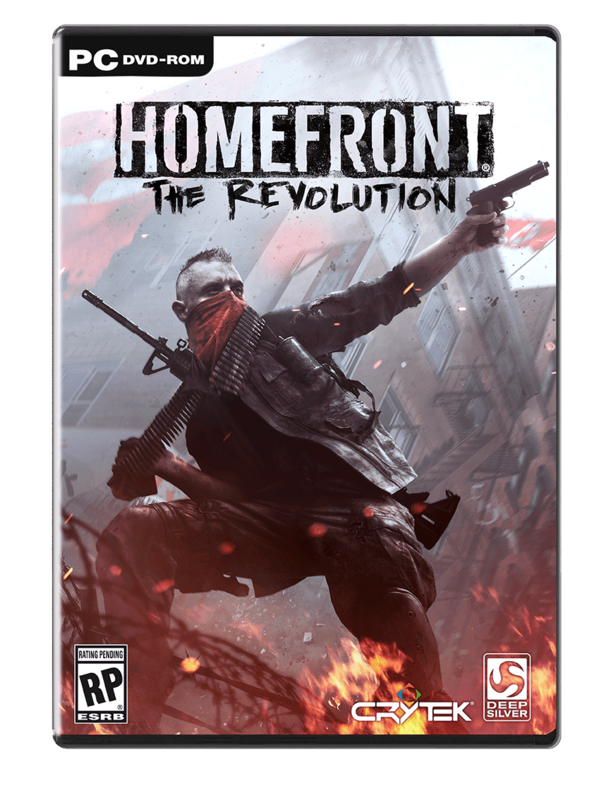 “We are delighted with first day sales for Homefront and are already fulfilling re-orders for the game from multiple retailers,” said Brian Farrell, THQ President and CEO. 2027. A once proud America has fallen, her infrastructure shattered and military in disarray. Crippled by a devastating EMP strike, the USA is powerless to resist the ever expanding occupation of a savage, nuclear armed Greater Korean Republic. Join the Resistance, stand united and fight for freedom against an overwhelming military force in Homefront’s gripping single player campaign penned by John Milius (Apocalypse Now, Red Dawn). Stand alongside a cast of memorable characters as an emotional plot unfolds in this terrifyingly plausible near-future world. Experience visceral, cinematic first person shooter action as you fight your way across Occupied USA using guerrilla tactics, and commandeer military vehicles and advanced drone technology to defeat the enemy. Multiplayer brings epic warfare to the online arena as infantry, tanks, attack helicopters and combat drones battle across huge, open battlefields. A rich feature set offering layers of tactical depth combined with game-changing innovations like Battle Points and Battle Commander set a new benchmark in online warfare. 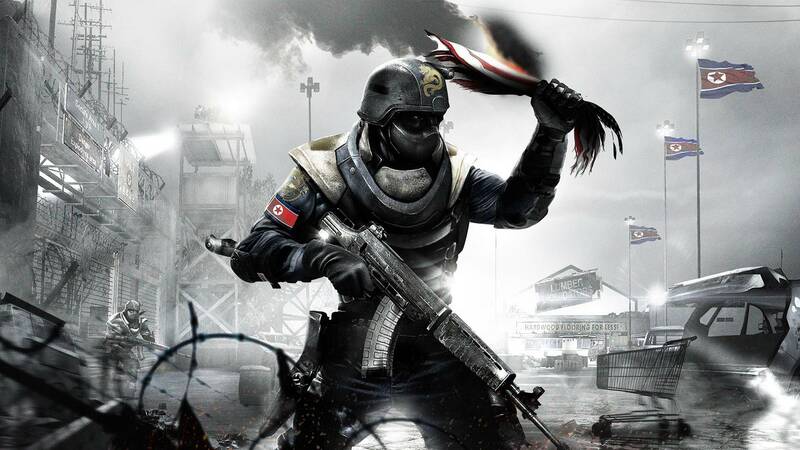 Homefront creates powerful moments by swapping genre-standard military warriors and exotic locales for armed citizens and suburban backyards, but don’t expect this impressive shooter to offer up the longest-lasting experience. Painting a real-life nation as the brutally oppressive opposing force — even in a near-future setting — is a risky maneuver for a video game, but Homefront does just that with North Korea. 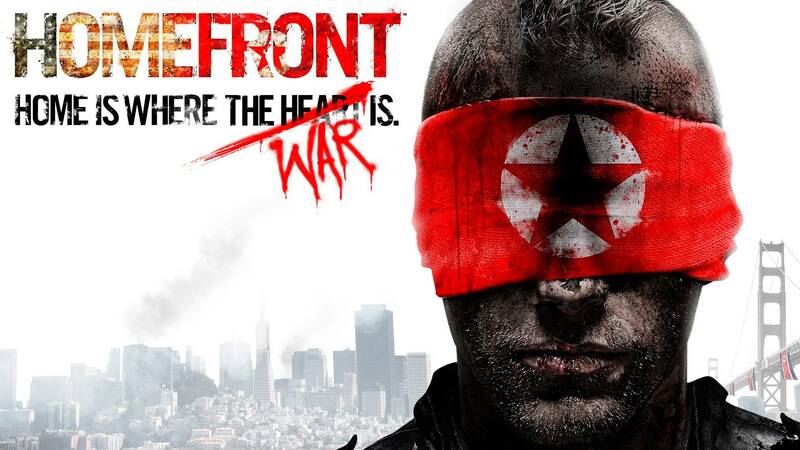 In Homefront’s world, the closed-off nation expands its influence in the years ahead, muscling its way south towards a unified Korea before taking over Japan, sending chaotic economic ripples throughout the world. Kaos Studios conveys this spiraling situation wonderfully through a fevered live-action introduction, which juxtaposes Korea’s rise in power with societal downfall elsewhere and culminates in an EMP blast that allows the nation to violently invade the United States. Though it may prove an uncomfortable scenario for some players, this first-person shooter’s campaign presents powerful moments, both physically and emotionally jarring in nature. And it begins almost immediately from the outset, as Korean forces bust into your ratty apartment in the year 2027 (two years after the EMP attack), assaulting your silent protagonist — a former Marine pilot — before throwing him down the stairs and loading him on a bus to places unknown. Through the window you’ll witness the first of many atrocities held within the adventure, including a couple held apart outside a makeshift detention center and parents killed in cold blood in view of a toddler, who stumbles towards the bodies as you pass by, powerless to help. But Homefront is a game about fighting back, so within moments, you’ll find yourself freed from captivity and indoctrinated into the resistance with a headshot and a handshake. You’re one of them now: a heavily armed citizen unwilling to sit idly by while the country crumbles. It kicks off a rousing campaign that spans suburban American terrain while placing you in impressively varied gameplay opportunities. While most of the action is of the run-and-gun, on-foot sort, you’ll also sneak through a militia farm complex, command a remote controlled tank, and snipe soldiers from an abandoned church bell tower. Plus, the game includes an off-rails helicopter sequence that plays significantly better than you’d expect from a lone mission in an FPS. Despite a narrative penned by John Milius, co-writer of Red Dawn and Apocalypse Now, storytelling is not Homefront’ strongest suit — it’s the atmosphere. The transformed suburban settings convey much more than the passable dialogue, and simply being able to run through an accurately modeled White Castle and battle back enemies in a burning TigerDirect.com warehouse adds a layer of authenticity to the proceedings, as do the other licensed brands witnessed in the game. Homefront isn’t the shiniest-looking game out there, as the gritty (but nicely detailed) settings aren’t quite as crisp or clean as Call of Duty and the like, and I noticed a handful of odd collision detection issues along the way. But the impressive environments — such as an idyllic backyard haven unperturbed by the outer mayhem — and intense campaign scenarios certainly make up for the lack of gloss. However, it all comes to a head much too quickly, and that’s not a knock just on the brief length of the campaign (about five hours). The final mission — a triumphant battle on one of America’s truly great monuments — seemingly appears out of nowhere, as the cadence of the campaign suggested that the endgame was still hours away. When the credits roll, it’s clear that Homefront is clearly intended as the truncated first battle in a much larger war; but that sudden conclusion weakens the otherwise very strong campaign experience, and doesn’t provide a lot of momentum for the inevitable sequel. Homefront’s shot at usurping the multiplayer giants of the industry isn’t as rife with dramatic tension and haunting scenarios, but it does make some interesting tweaks to genre conventions. It plays similarly to recent Call of Duty entries — albeit with a larger cap of 32 players per match — but the Battle Points system offers a fresh level of flexibility for activating in-match bonuses. Kills and assists earn you points, which can be used immediately to unlock vehicles, armor, heavy weaponry, and the wildly amusing remote control ground drones and mini-helicopters. 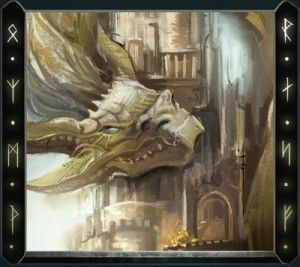 Persistent leveling and customization options are still available, but limiting some of the features by single match performance levels the playing field a bit and rewards skillful runs. But much as the Battle Points system delivers a welcomed twist on a familiar formula, the overall Homefront online experience feels a bit thin. Despite the introduction of the Battle Commander variation, which puts bounties on skilled players amidst the action, Homefront focuses on just two core play modes: Team Deathmatch and Ground Control, both of which are pretty standard offerings. Much as I enjoyed the online firefights and wily drone vehicles, I’d be surprised if the limited play modes and just seven on-disc maps (the Xbox 360 version has an exclusive eighth “Suburbs” map) keep dedicated Black Ops or Bad Company 2 fans from their usual haunts. Homefront does a whole lot right, delivering powerful imagery and actions on the single-player side, as well as interesting multiplayer alterations, but neither end feels fully realized. But I won’t hesitate to recommend Homefront on the overall strength of its stilted campaign, which consistently delivers strong set pieces and alluring atmospheric moments amidst the chaotic combat. And should Kaos expand on this promising start with meaningful and memorable additions in a sequel, Homefront may prove a potent franchise in no time at all. PROS: Very strong campaign packed with powerful imagery and atmosphere; diverse gameplay opportunities amidst the campaign; engaging tweaks on standard multiplayer conventions. CONS: Abrupt conclusion and brief length keep campaign from true excellence; multiplayer options a bit thin compared to competition; occasional visual glitches can be distracting.